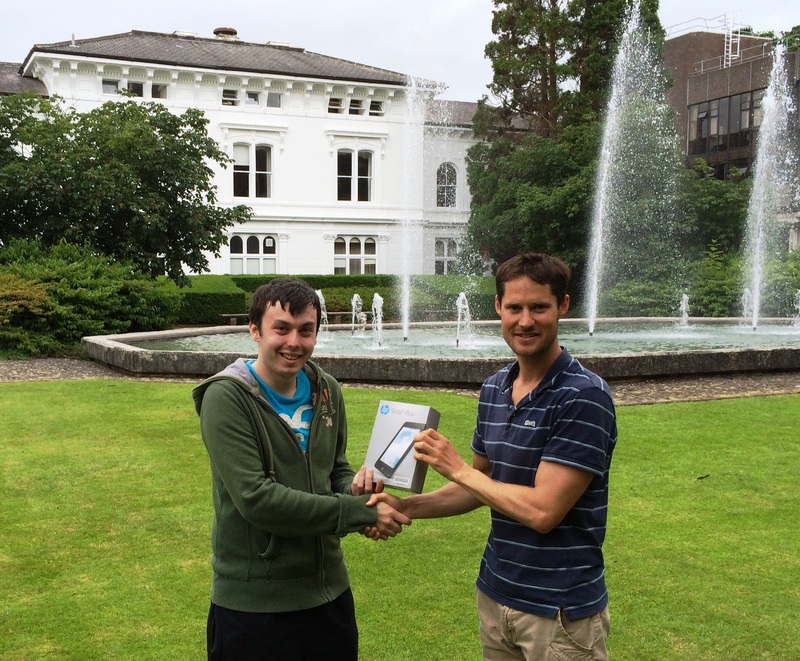 Congratulations to Ben Murray whose name was drawn from a hat of 1,608 students that completed the 2014 UL Travel Survey recently. Ben is already a smarter travel champion as he commutes each day from Ennis on the M7 Express and can now surf all the way home with the on-board Wi-Fi and his new HP Slate 7 tablet. This entry was posted in Uncategorized and tagged UL Travel Survey 2014 Winner. Bookmark the permalink.